A Disneyland vacation is supposed to be fun, magical, and the stuff that literal dreams are made of. Your family may have saved for years just to have a couple of days at Disneyland. Unfortunately, when it comes to Disneyland, many people do not know how to effectively spend their vacation time. This leads to disappointment and frustration. Large amounts of time go into planning and strategizing, and not enough time goes into enjoying the actual vacation. 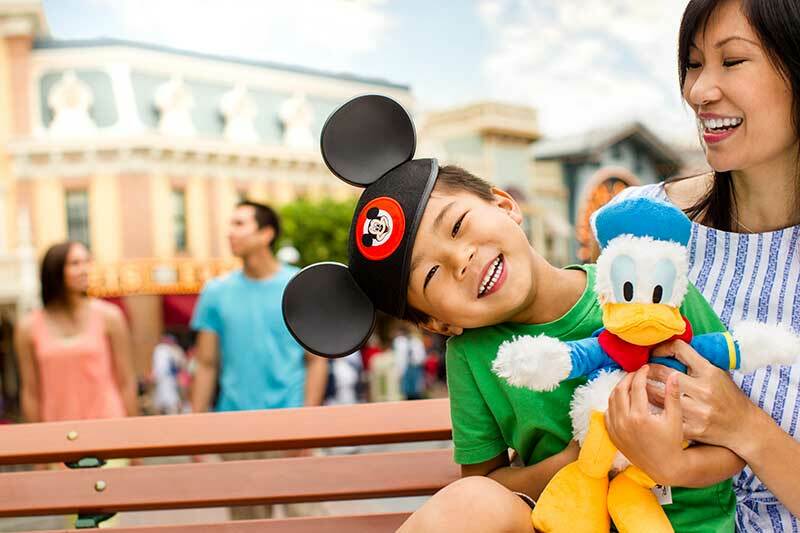 The following 10 tips are helpful ways your family can maximize their time at The Happiest Place on Earth and ensure you all are having the best possible Disneyland Vacation! Take advantage of Extra Magic Mornings. With Extra Magic Mornings, you can enter either Disneyland or California Adventure one hour before the general public. This is a wonderful time to ride Fantasyland, Tomorrowland, and Cars Land attractions­­. The Peter Pan ride has one of the longest wait times in Disneyland and does not offer FastPasses. During Extra Magic­­ Hours, that wait time is often cut in half. It is possible to do most, if not all the Fantasyland attractions during Extra Magic Hours. Riding Space Mountain is also a beneficial use of this time. 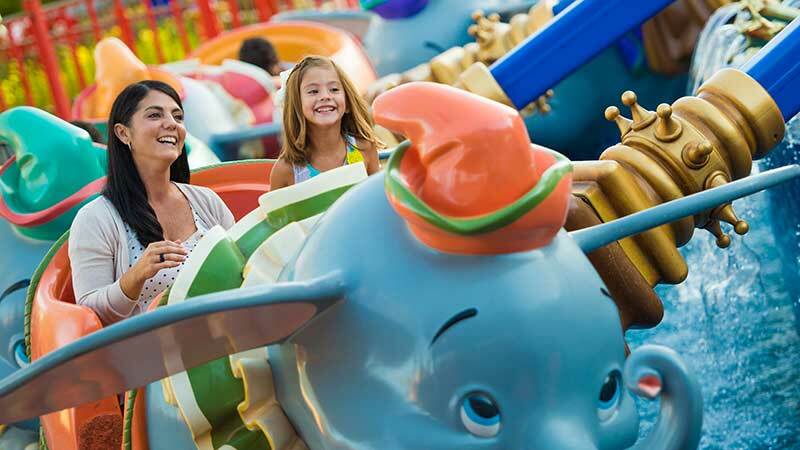 You may consider getting the first set of FastPasses for the day; then riding rides that do not offer FastPass, such as Dumbo or Alice in Wonderland. Don’t forget, you can also sign the little ones up for Jedi Training. At California Adventure, a great way to use Extra Magic Hours is by riding the new Guardians of The Galaxy: Mission Breakout! This ride is a huge success and the wait times are currently around 90-105 minutes. Radiator Springs Racers still have notoriously long wait times. I suggest getting a FastPass for Racers then getting in line for Mission Breakout or vice versa. Extra Magic hours are available when you book a hotel stay at one of the three on-property Disneyland Resort Hotels. However, many people are unaware that if you booked a Good Neighbor Hotel stay and at least a 3- day park ticket with Dreams Unlimited Travel, you are also entitled to one Extra Magic Morning. When you reserve the Minnie and Friends Character Breakfast before the park opens, you can also enter Disneyland park before the general public. This is a great tip to use if you do not have Extra Magic Mornings or it is a California Adventure Extra Magic Morning day. The restaurant often opens one hour before Disneyland opens. The Plaza Inn is located in between Tomorrowland and Sleeping Beauty Castle, it gives you easy access to Fantasyland and Tomorrowland. You can start with breakfast at Plaza Inn, then get your FastPasses. The Minnie and Friends Breakfast also hosts a large number of Disney characters. Rare characters such as Max and Rafiki may also make an appearance. 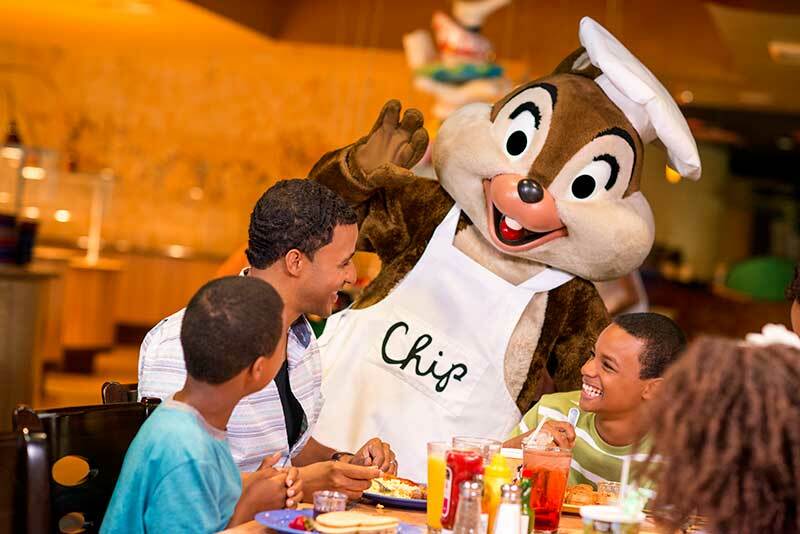 Character Dining is a fantastic way to meet characters without standing in long lines. If you need assistance booking dining at the Disneyland Resort, feel free to contact your Dreams Unlimited Travel Agent. The Disneyland Resort currently operates on the traditional FastPass system. For people who frequent Walt Disney World in Florida, this may be a foreign concept. At Disneyland and California Adventure, you go to the FastPass kiosk, insert your park ticket, and receive a printed, paper FastPass ticket with a time to return to the ride. Many of the FastPass kiosks are located by the ride; except for Radiator Springs Racers, which is located right outside Bug’s Land. Many people are unaware that you can sign up for another FastPass two hours after obtaining the original fast pass. To optimize this FastPass system; sign up for a ride as soon as you enter the park. In two hours, sign up for another FastPass even if you have not used the first one yet. In a twelve-hour park day, you have the potential to snag up to 6 FastPasses, if they are available. The traditional FastPass system makes for a more spontaneous park experience. You do not have to decide what you are going to do 60 days prior to your vacation. You can enjoy the luxury of waking up and deciding which park or what attraction you will enjoy that day. **Major changes to Disneyland’s FastPass system are being implemented starting this week. Now, guests will use their admission ticket to access the FastPass line. These changes are in preparation for Disneyland’s MaxPass system. As of now, you still have the ability to get FastPasses every two hours or after the first FastPass has been redeemed. 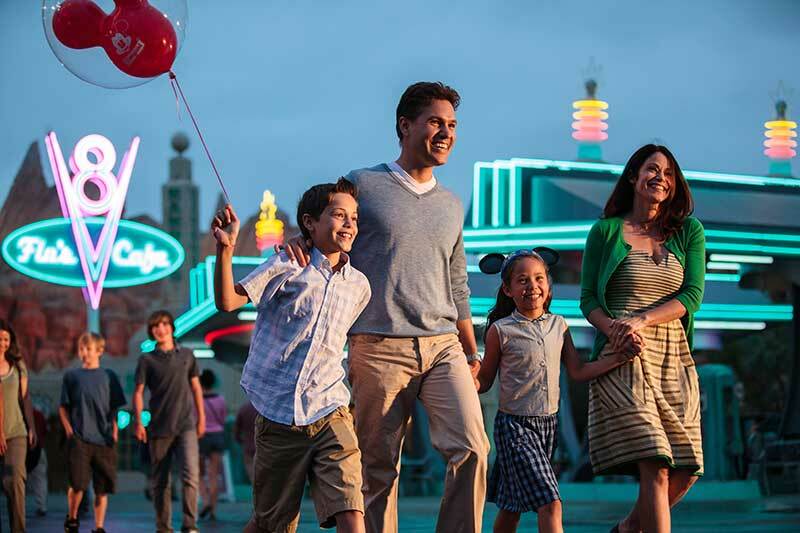 Disney is constantly evolving their policies and procedures to enhance the guest experience. The ability to choose a ride the day of is one of the things that makes Disneyland a local favorite. Although MaxPass will allow you to book FastPasses in advance like Walt Disney World, you will still be able to get a FastPass the day of. This hybrid system will still offer a level of spontaneity while allowing the uber-planner the ability to map out their day. For more information about the changes to the FastPass system, check out the following story: UPDATE: Some Changes This Week for Disneyland’s FASTPASS Service. The Disneyland app is amazing; take advantage of it. It is similar to Walt Disney World's My Disney Experience app. Those familiar with using My Disney Experience will be a pro at using the Disneyland app. This app is extremely accurate at posting wait times, character locations, as well as the entertainment schedule. Make a habit of checking wait times before walking across the park. The app will save you a lot of frustration. This app will show you the ride with the longest wait times, rides that have available FastPasses, and rides that are temporarily closed. The app will also let you know when the ride has resumed service. Use the app to see exactly where characters will be located and at what time. Getting a picture of your children with their favorite princess or superhero are the little things that make life-long vacation memories. One thing you should do is link your park ticket to the app. If you lose your park ticket, you can enter the park by showing the ticket on your phone. Note that this does not work for FastPasses. However, it makes it easier to replace your lost ticket at guest services. Don’t forget, you can also view and download all of your PhotoPass photos from the app and upload them directly to social media. If you know you want to eat at Blue Bayou, Ariel’s Grotto, Carthay Circle, or Napa Rose; book this ahead of time. Disneyland dining reservations open 60 days out. Although it is not necessary to book dining reservations 60 days out, do not wait until the last minute or the day of. You will be disappointed. The key to having the perfect vacation is avoiding frustrations and disappointments. For optimum times, a month out is usually a good amount of time to book dining reservations. The closer you get to the day, the less likely you are to find the times you are looking for. First and foremost; Do Not… and I repeat… Do Not spend half the day waiting on fireworks. Instead, enjoy your day and find alternative ways to view the fireworks. You will find that you waited all day for someone to stand directly in front of you or worse, fireworks have been cancelled for the night. Fireworks can be cancelled at a moment’s notice due to high winds or rain. Do not spend your precious vacation moments waiting hours on fireworks. People do not know about the many places around the resort you can view fireworks. Fireworks are viewable inside Tomorrowland. There’s also a large viewing area in Fantasyland in front of the entrance to "it's a small world." You can camp out there and watch the parade. The Esplanade in between the California Adventure entrance and the Disneyland entrance makes a beautiful viewing area, many park hoppers stop and watch the fireworks there. Main Street is the ideal viewing area because you have the castle as the backdrop. But, it’s a logistical nightmare when fireworks are over. Besides, this is where you are more likely to have someone stand in front of you at the last minute. Remember you can view fireworks from the Disneyland Resort hotels and many Good Neighbor Hotels. This is one of the benefits of staying on or near property. The three on-property hotels offer Theme Park View Rooms. Rooms at The Grand Californian have balconies, and having a Downtown Disney view will almost ensure you will have a view of the fireworks. Paradise Pier Hotel has fireworks viewing at their rooftop pool. You can also watch the fireworks on the resort television, this could come in handy for sleepy children or adults. Some Good Neighbor Hotels have rooms with Theme Park views. 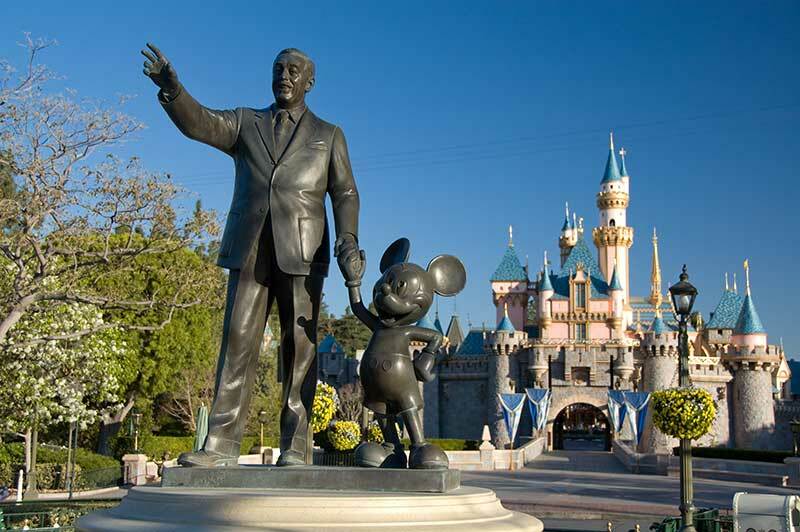 For more information on this, ask a Dreams Unlimited Travel Disneyland Agent. Many of our agents are Disneyland Annual Passholders and they are experts in all things pertaining to the Disneyland Resort. Parade and show dinner packages are great ways to ensure you have premium viewing. The Blue Bayou currently hosts an Electrical Parade package. World of Color packages are offered at Carthay Circle and Ariel’s Grotto. Although this is an additional cost, it adds value to your vacation knowing you do not have to spend unnecessary time staking out a perfect location. This is also a terrific way to celebrate a special occasion. If dinner packages are not your thing, it does not mean you will miss out on having a good spot for World of Color. Get a FastPass for World of Color early in the day. The good thing about World of Color FastPasses is that you can also have a ride FastPass at the same time. I suggest getting those FastPasses just in case, especially if you plan on spending the day at California Adventure. World of Color is a breathtaking show; you will not want to miss it. Slow down and enjoy being at Disneyland. This piece of advice goes against popular theories that you must plan and strategize every minute of your vacation. Planning every moment makes your vacation more like work and less like valuable quality time with your family. One of the many beautiful things about Disneyland is the ability to take it slow without missing a beat. I find that people do not enjoy their vacations to the fullest because they are rushing to get to the next ride, parade, or show. The traditional FastPass system makes Disneyland a more spontaneous vacation. Disneyland is smaller, but it is jam-packed with details. The details get lost when you are rushing. Walt wanted a place where people would want to come back to time and time again. You can go to Disneyland every day and still miss something. It is the details that make Disneyland such a magical place, and when you are rushing through it, you are missing the magic. Last but not least, the best way to ensure that you will have a phenomenal Disneyland vacation is by booking with Dreams Unlimited Travel. 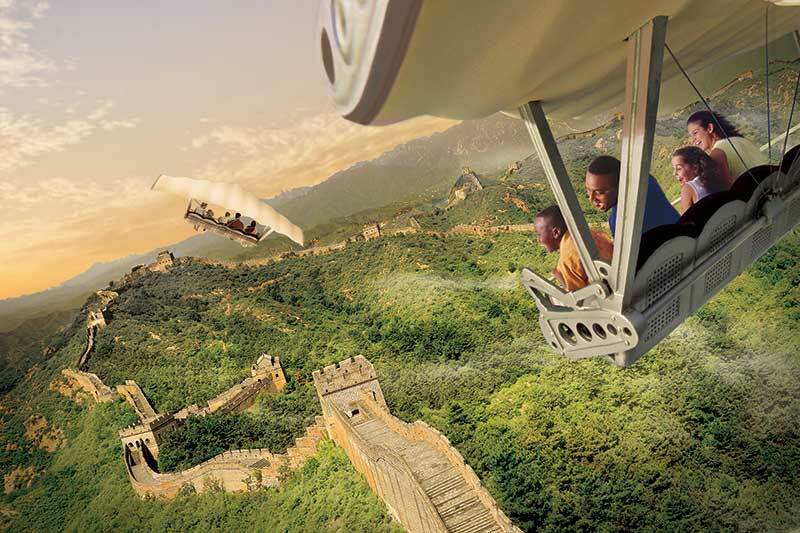 Dreams Unlimited Travel Agents are experts in all types of Disney vacations. They will be available to help you plan as little or as much of your vacation as you want. They will be there for you every step of the way. As with all the destinations we sell, Dreams Unlimited Travel does not charge any fees for our services, so there is no extra cost for booking through Dreams. However, you get individualized service and attention that you will not get by booking directly with Disney. This will allow you to sit back and enjoy your vacation.